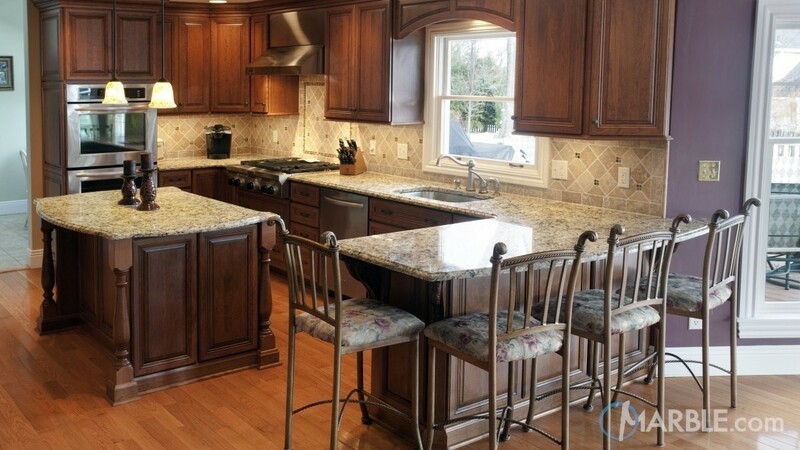 Why Choose Beige Granite Countertops? While dark granite countertops can be hard to resist — paired with bright white, it’s a timeless look with instant appeal — it’s important to consider how your space will be used when choosing a color. After all, once you’ve settled on granite for countertops, the color options are almost limitless, as long as your supplier boasts a large slab inventory. When you’re choosing something as important as the granite for your countertops, a huge selection is vital — it opens up all kinds of exciting possibilities. Even though you might imagine a gorgeous and pristine workspace, it’s important to think about what kind of activity your granite countertops will see. If it’s a commercial location like a restaurant, bar, or coffee shop, the action will be almost non-stop. Sure, you’ll always stop to clean up major messes and greasy spills, but things like small crumbs may not get removed right away. If they did, you might find yourself wiping your countertops every ten minutes. On a dark countertop, even small particles are immediately obvious. That’s why many people wisely resist the siren call of, say, Black Pearl, and go with granite counters that are beige, cream or off-white. 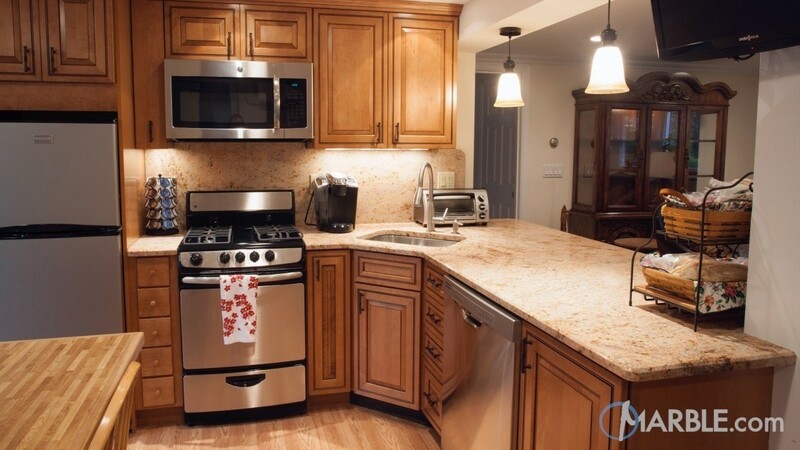 When does a lighter color for your granite counter make the most sense? • You have a bar or coffee shop with an active counter area. When customers order and receive items from across a counter, one has to expect that your granite counter will see a few crumbs or water droplets land on it. We’re not talking about the kind of messes that any good establishment will quickly clean, but small particles that are immediately obvious won’t be something you want your customers to face. Choose a granite color like Bianco Antico or Giallo Napole and your shop or bar will convey an image of order. • You love to entertain. We all know that just about every party ends up in the kitchen, especially if you’re someone who likes a crowd while you prepare the meal. Frankly, the kitchen is a fun, active place that makes socializing easy and keeps the conversation flowing. But, crackers crumble and chips break, and the last thing you want is a counter that shows all of it, in the way that dark granite will. What’s more, many people find a cream or a beige granite counter opens up more design options in other parts of the kitchen. Of course, you don’t’ have to stick with just one color for the granite counters in your kitchen. If you really love the idea of a dark natural stone, consider going with a cream or a beige granite like Astoria Granite for the high traffic areas you’ll rely on for entertaining, and introduce black or another dark color elsewhere. • You have a young, active family. Hey, nobody has perfect children. Or spouses, for that matter. Sometimes people are going to leave behind a bit of a mess. 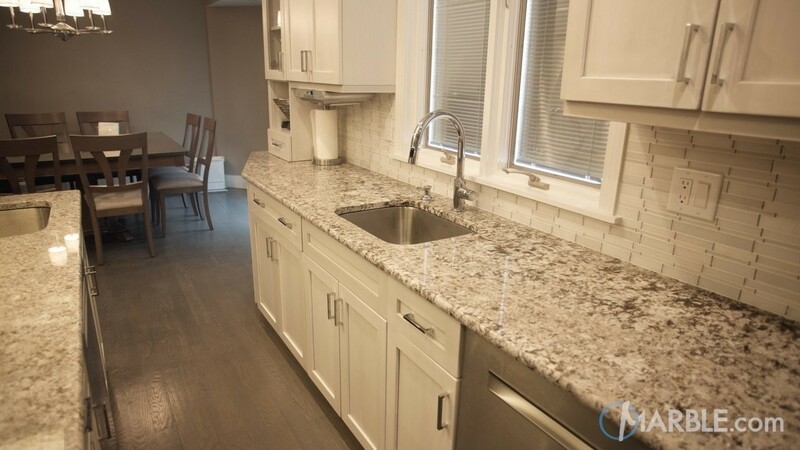 Rather than walk into your new kitchen and have that be the first thing you notice, choosing a beige granite — especially one that also features interesting veining or other detail — will help you keep a little bit more of your sanity. If you’re a neat freak, you’ll still be wiping and cleaning those countertops all the time but not noticing every little bit of debris will be a real advantage. The bottom line is that you should keep your mind open to all kinds of color options when it comes to choosing granite for your counters. Sure, you might hear the word “beige” and think, well, dull and boring. But not only is it remarkably practical, but a supplier with a vast slab inventory will also be able to show you options that are rich and very appealing to the eye. Make sure you don’t overlook them.